Our Boston car accident lawyers know that victims of traffic collisions can get caught in the middle of a fight between doctors and insurance companies who are more concerned with making money than helping accident victims. MI Spine & Brain Surgeons, PLLC v. State Farm Mut. Auto Ins. Co., an appeal from the U.S. Sixth Circuit, involves a lawsuit between a surgical clinic and their patient’s car insurance company. According to court records, the car accident victim sustained injures that required more than $26,000 in neurological treatment. The doctor’s office submitted the bill to the car insurance company, but the company rejected the claim. The reason for the rejection was that the medical condition for which the patient was treated was not related to any injuries sustained in the car accident. The insurance company alleged that their insured was suffering from a preexisting condition that was not covered under the policy. The surgical clinic sued under the state no-fault act and under the Medicare Secondary Payer Act. The defendant insurance company removed the case to federal court and filed a motion to dismiss on the Medicare Secondary Payer Act Claim. 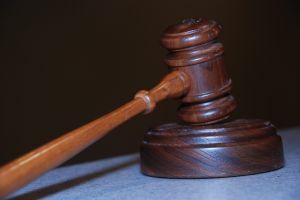 The trial court granted the defendant’s motion to dismiss pursuant to the holding in Bio-Medical Applications of Tennessee, Inc. v. Central States Southeast & Southwest Areas Health & Welfare Fund, which creates a limit on when a claimant is entitled to benefits under the Medicare Secondary Payer Act. On appeal, the court reversed the trial court’s decision to grant the defendant’s motion for summary judgment. The court explained that, under federal law, Medicare is available as a secondary payer when the claimant has a private insurance plan. This was not always the case, but in 1980 Congress enacted legislation in an attempt to reduce escalating healthcare costs. The result is that the responsibility is on the private insurance plan first, and then Medicare second. The private insurance companies try to get out of paying for any treatment by claiming that a particular condition is not covered by the plan. In this situation, we have a Medicare treatment provider (the Plaintiff) looking get paid in any way they can, and a private insurance company that is trying to pay nothing. As a patient who is the victim of a car accident, you may get stuck in the middle of two organizations that are only concerned about their own respective bottom lines. It is for that reason that if you have been in a car accident in Boston, you need to speak with an attorney who is truly on your side. An attorney who is not looking out for the best interests of medical billing departments or large insurance companies. At attorney who will fight to get you a fair and appropriate financial recovery, so that you can get on with the rest of your life.